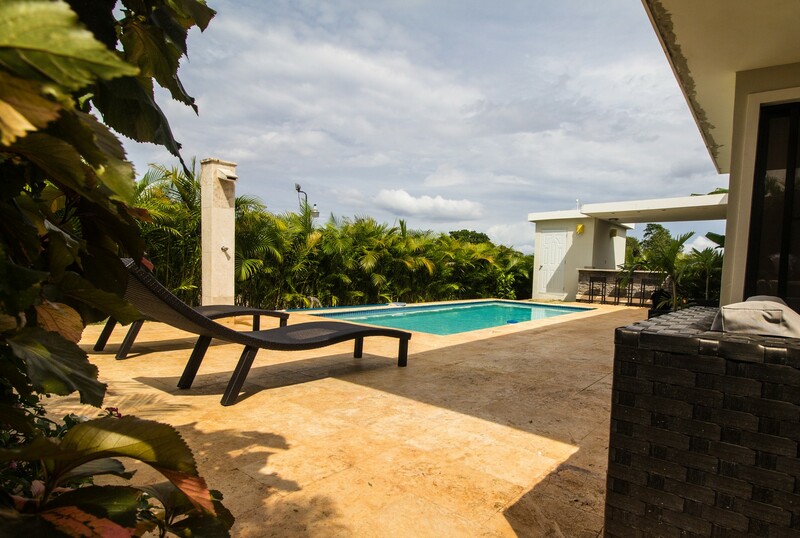 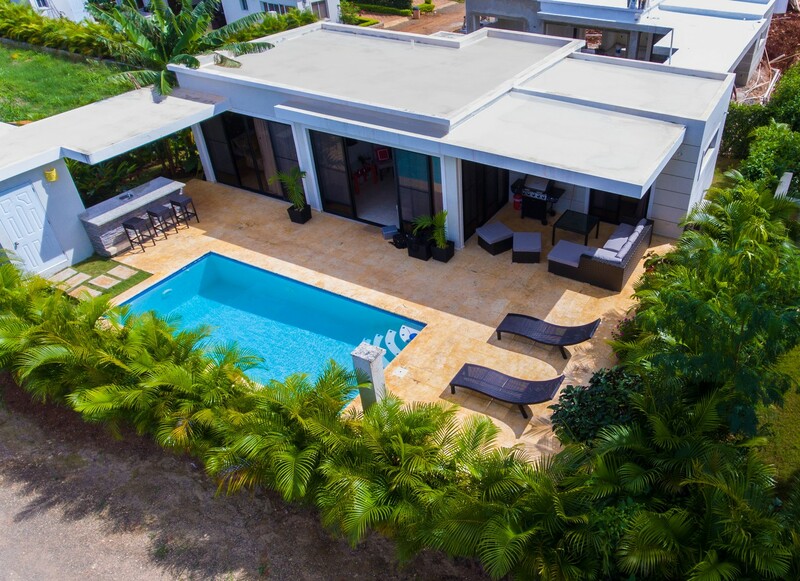 This spectacular modern villa is situated in the center of all that Casa Linda has to offer and is steps away from the amazing community amenities both present and planned for the future. 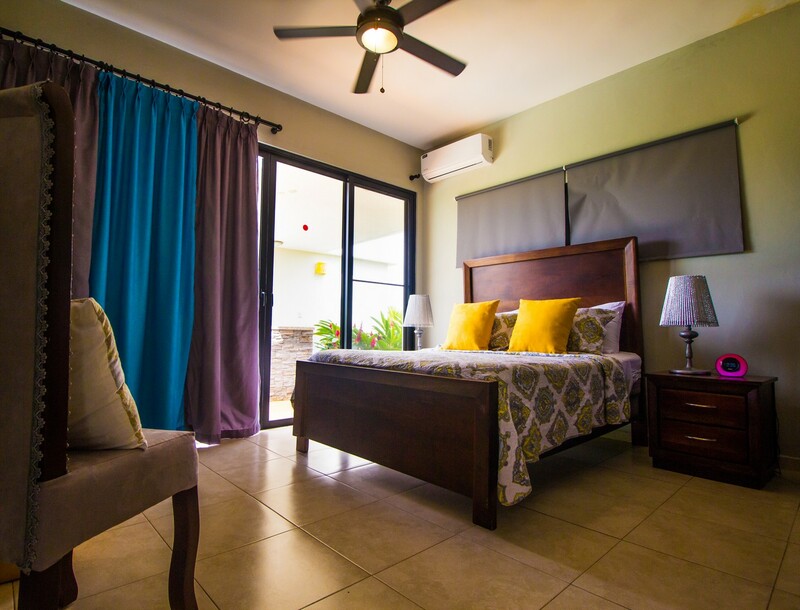 Your escape to the Caribbean does not mean sacrificing any creature comforts from home. 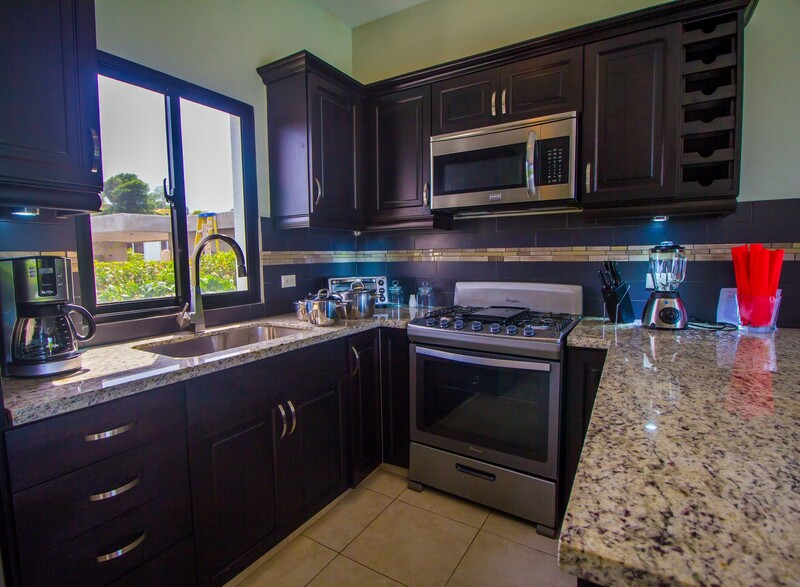 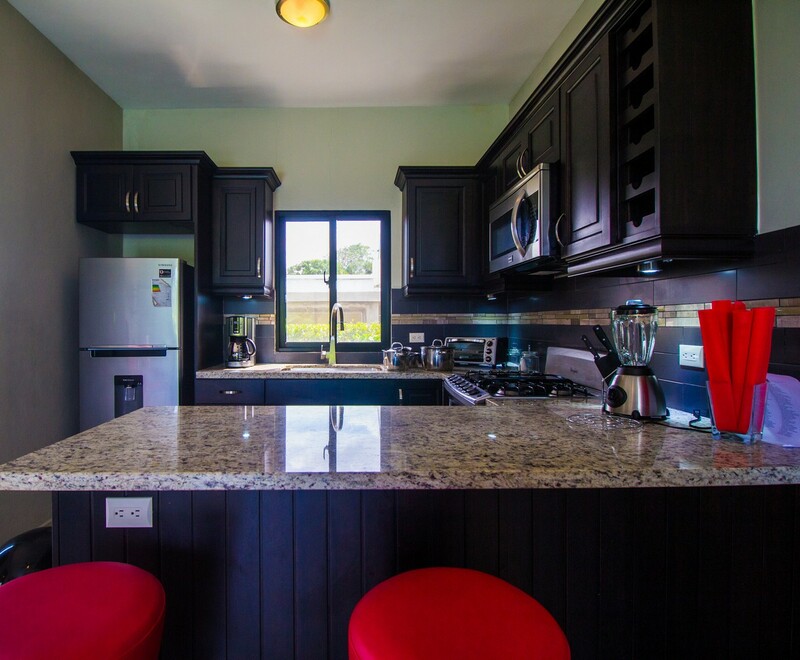 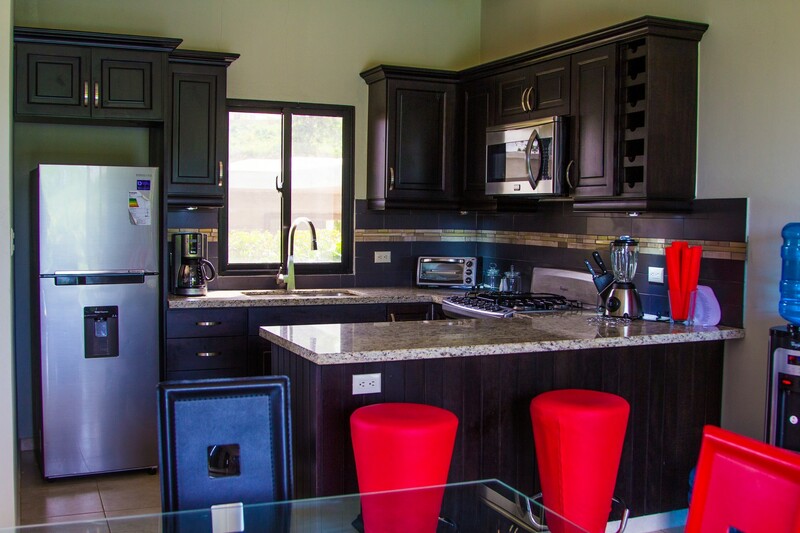 Enjoy modern stainless steel appliances, high speed Internet, cable, smart TV, and Bluetooth music. 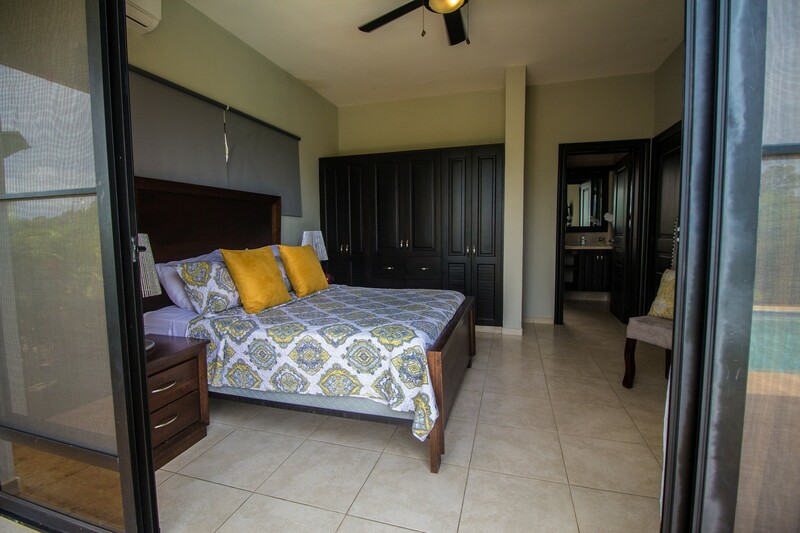 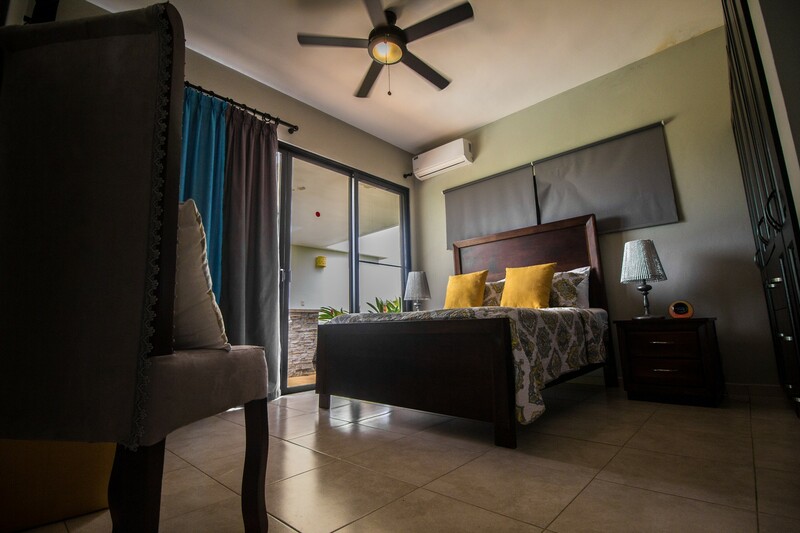 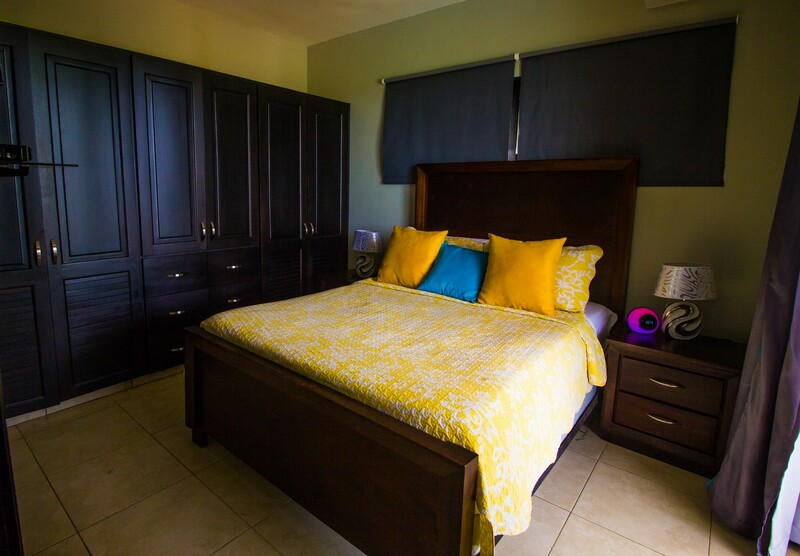 Two well-appointed bedrooms with private bathrooms, offer memory foam mattress pads and blackout curtains that will ensure a good night sleep. 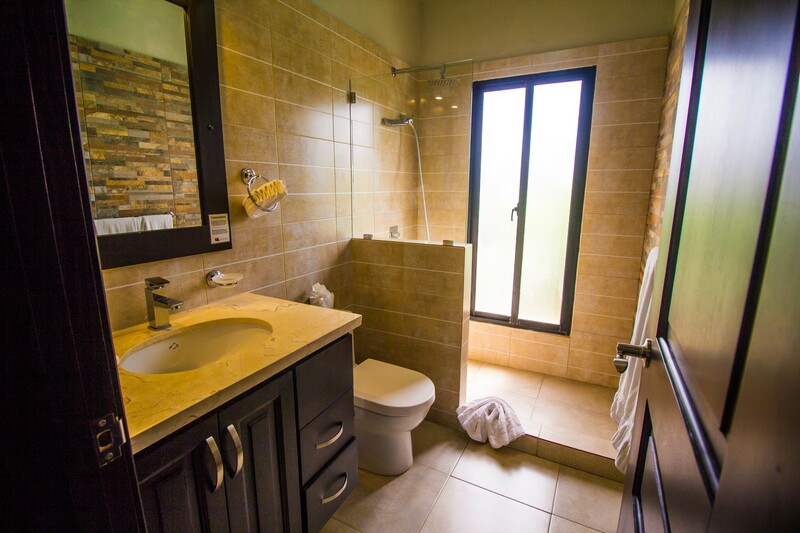 Wake up each morning and enjoy a luxury high pressure rain shower head that will leave you feeling refreshed. 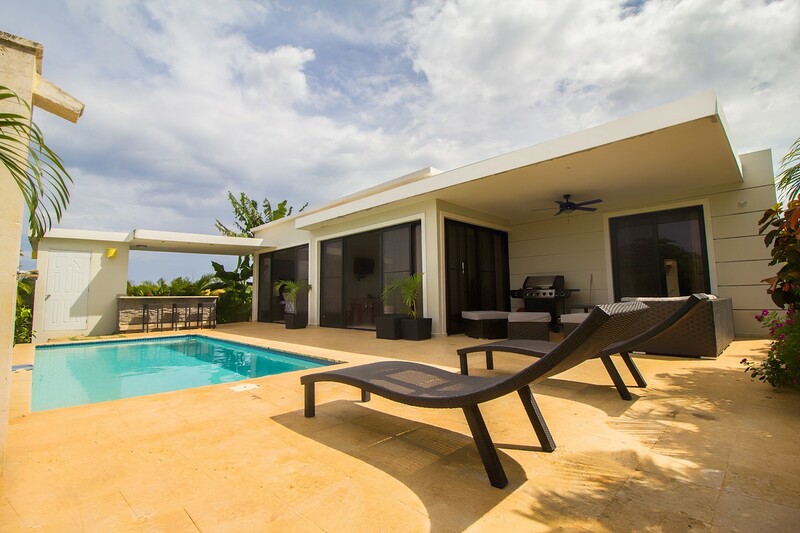 The villa is designed with floor to ceiling windows and sliding glass doors that open directly to the patio and pool area. 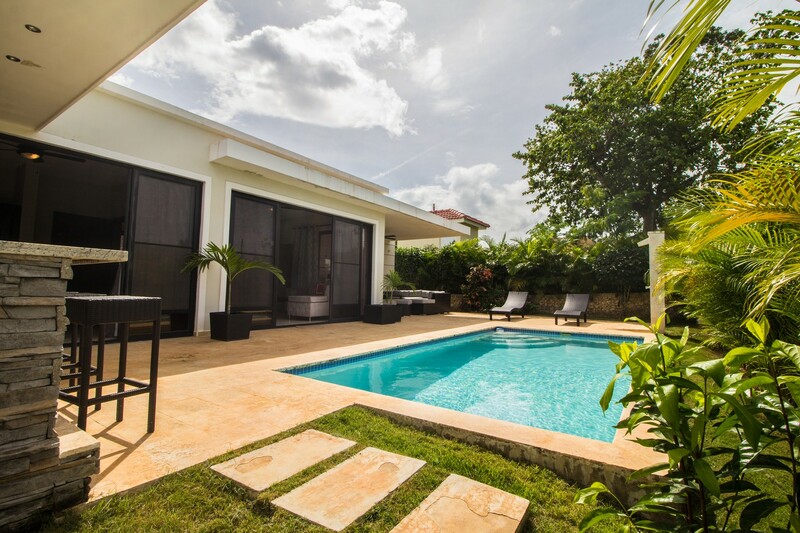 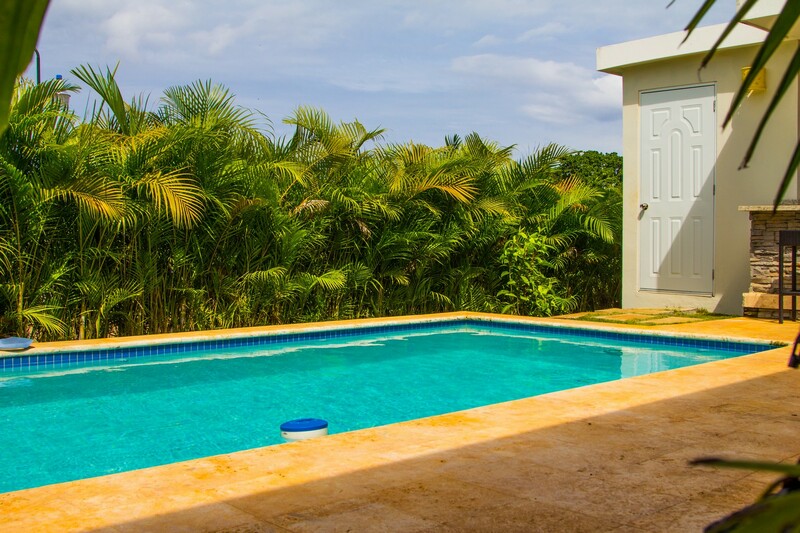 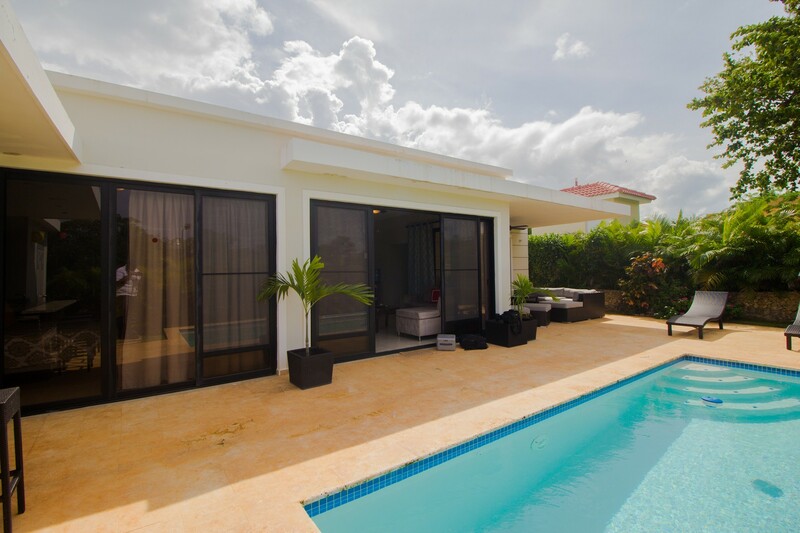 The pool faces away from other villas offering privacy while you swim and relax outside. 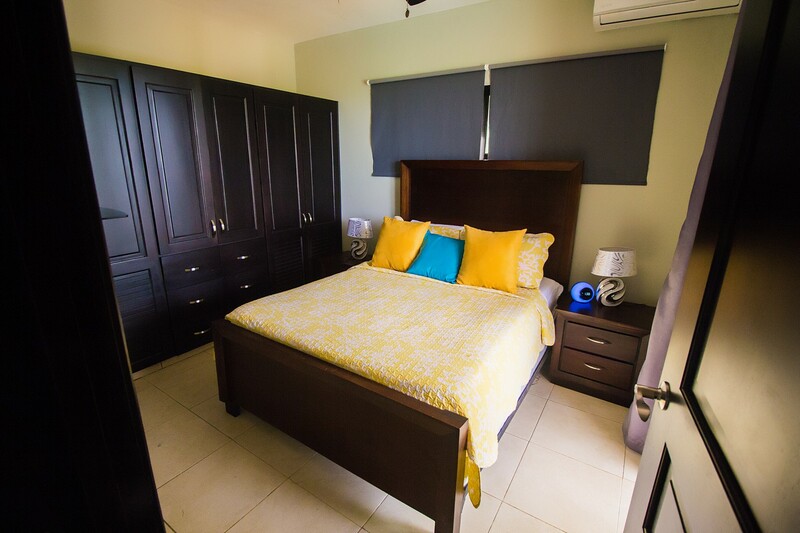 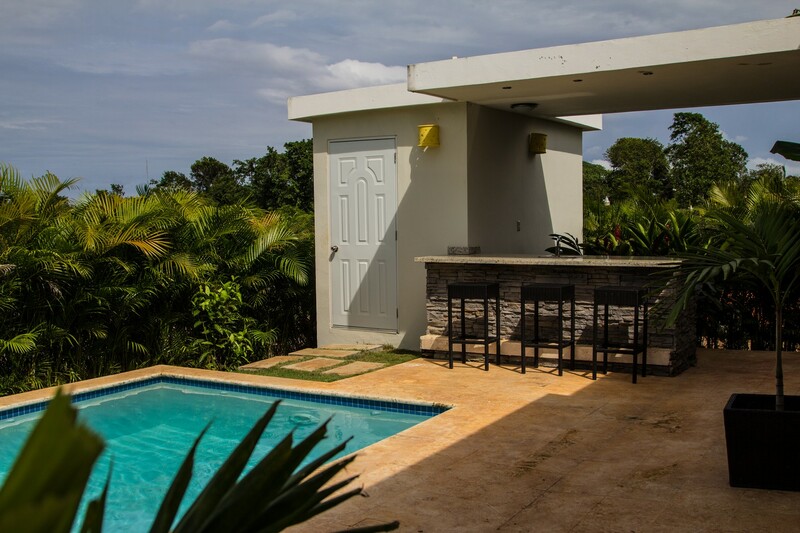 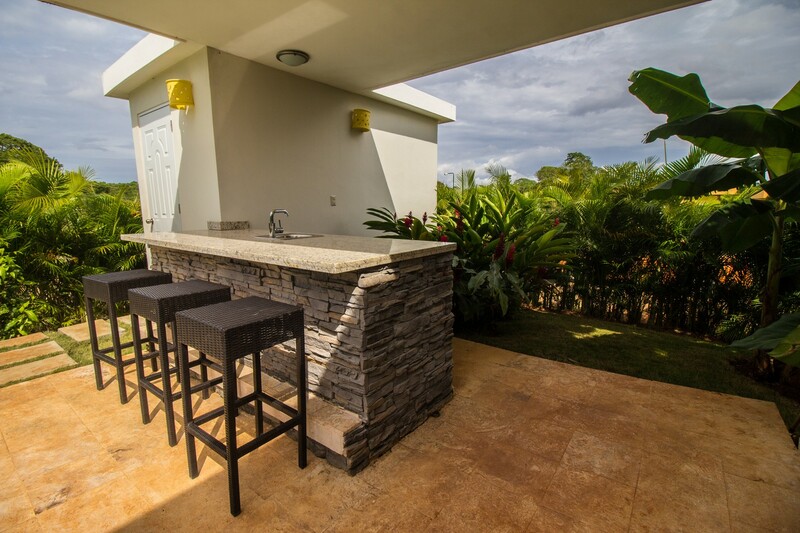 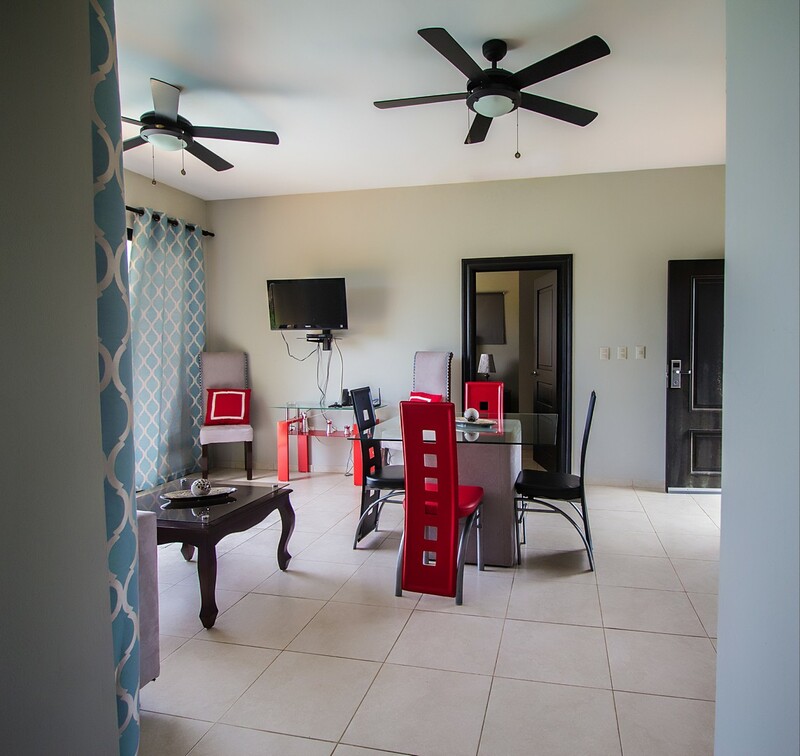 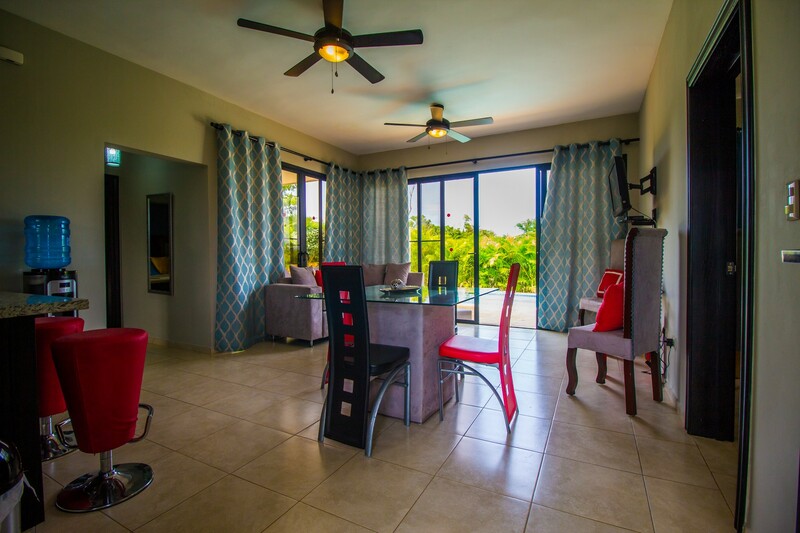 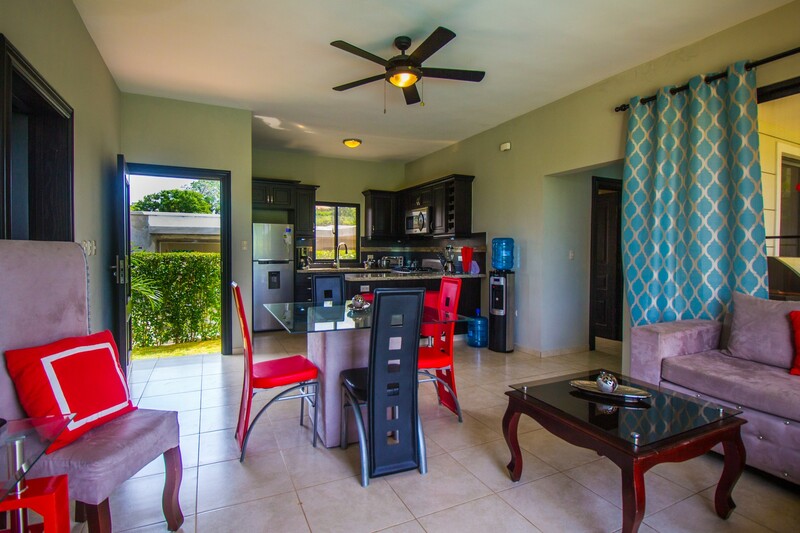 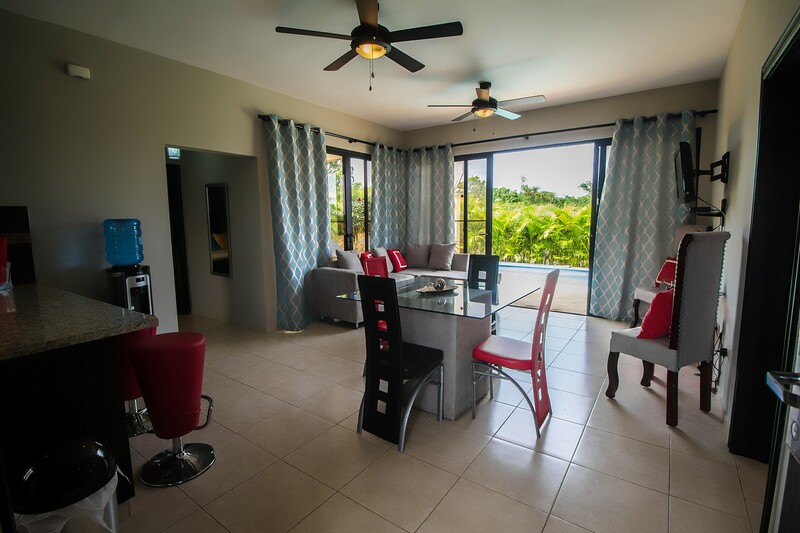 Most important was the investment to ensure the outside patio would maximize your vacation experience – an added bar area with stools, bar fridge, gas grill as well as an extra outside bathroom allow you to truly soak in as much of the beautiful Caribbean sun with no need to go inside. 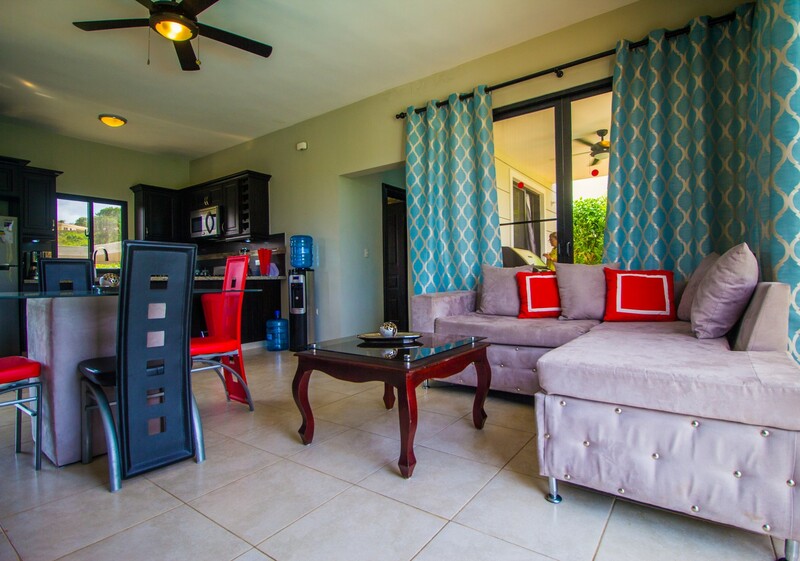 The covered patio area offers a sectional sofa with small dining table and outdoor fan to stay cool. 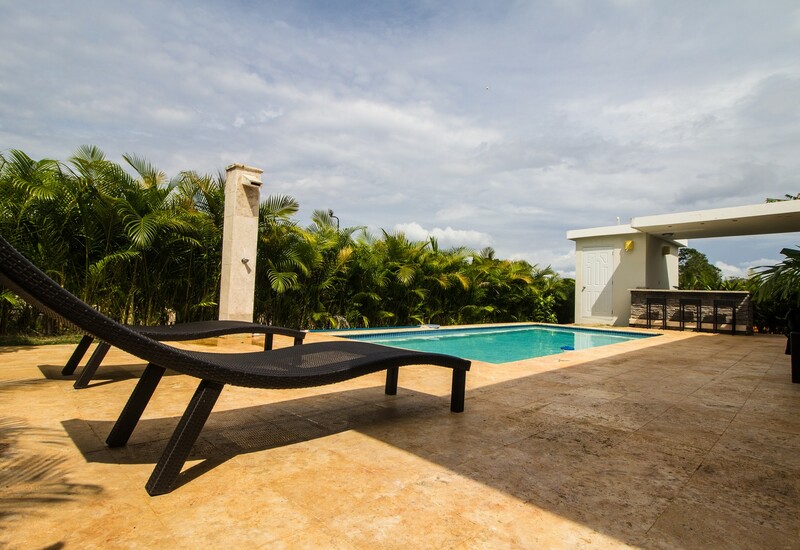 Those seeking to soak up the sun can lay out on the custom lounge chairs or take a dip in the pool. 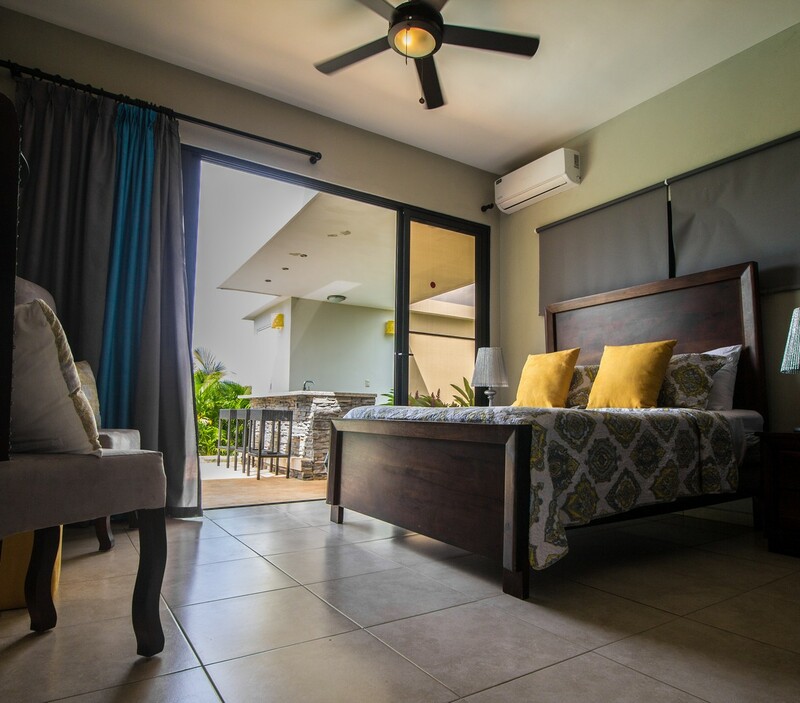 There is a free shuttle service offered by Casa Linda will take you to the center of town to enjoy all the restaurants bars and shopping and to the neighboring town of Cabarete. 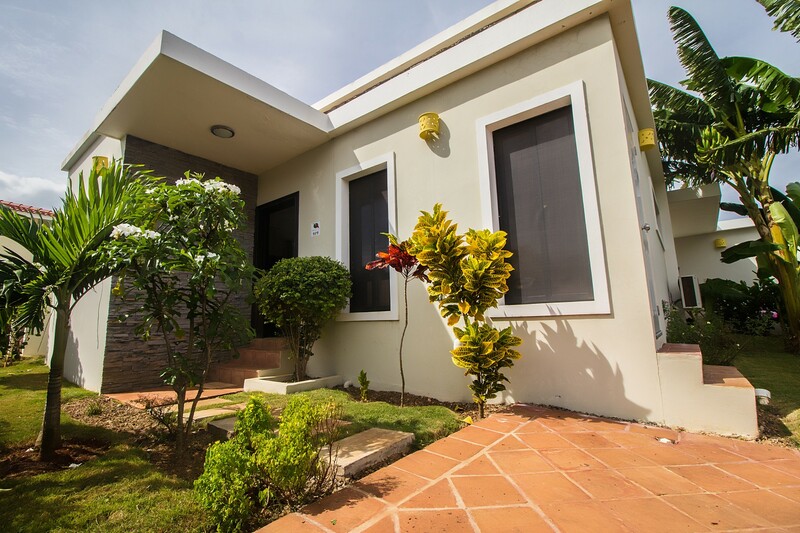 If you have a rental car you are ideally located between two of the most beautiful beach towns Sosua and Cabarete. 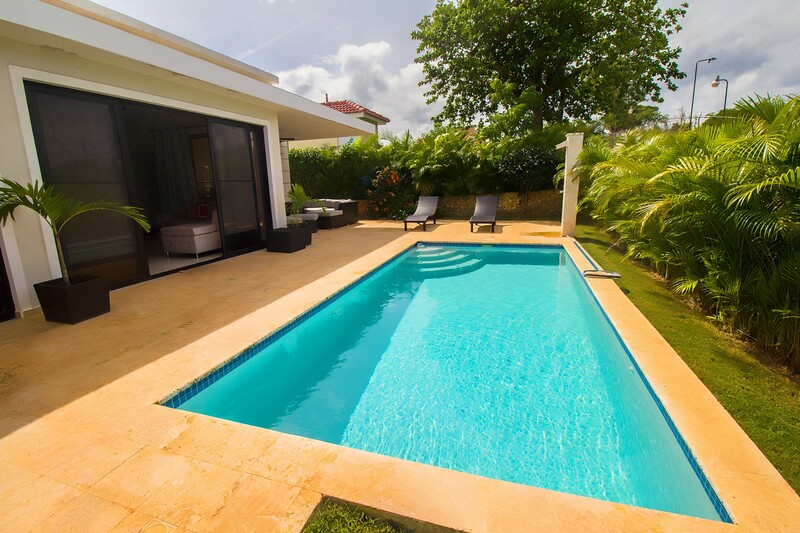 Your dream Caribbean vacation starts right here…..